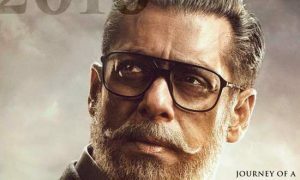 Kalank Advance Booking Report: The advance booking of Karan Johar’s magnum opus Kalank has started one week before its release. The film is releasing today. Kalank is one of the most awaited movies of the year. However, one feels that it hasn’t been able to create the required pre-release buzz. The producers seem to be under a lot for pressure and this is probably the reason that the advance booking has started one week before the release. Earlier planned to release on 19th April, the movie is now releasing on 17th April. It will enjoy 5-days extended weekend with two big holidays Mahavir Jayanti on 17th April and Good Friday on 19th April. Kalank is backed by big names like Karan Johar, Sajid Nadiadwala, and Apoorva Mehta. It will be the widest Bollywood release of the year. I am expecting it to release on around 3500 screens. Things are not looking good for Kalank in Mumbai circuit. Early reports suggest that around 15-20% shows are booked for the first day. Only 8-10% shows are booked for the first weekend. It seems that the audience is waiting for reviews before investing their time and money. Advance booking report is better than Mumbai with around 15-20% shows booked for the first weekend. 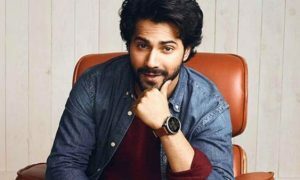 Varun and Alia Bhatt’s fan following seems to be working in favour of the film. Kalank is struggling in this circuit as only 10% shows are booked for the first day. It is expected to pick up today with the release of the film. A big surprise here probably due to the flavour of the film. Early reports suggest that the film will take a huge opening in Hyderabad as around 50% shows are already booked. In fact, around 25$ shows are booked for the opening weekend. In other circuits, the early response is decent with around 10-15% shows booked for the first weekend. It should pick up as the day progresses. Releasing on around 3500 screens, Kalank is expected to take 45-50% opening at the box office. The Box office prediction of Kalank 1st day collection would be around 20 crores. It is not one of those films which work at the box office from the first day. Produced by Karan Johar, Kalank boasts on its star cast which includes big names like Sanjay Dutt, Madhuri Dixit, Varun Dhawan, Alia Bhatt, Aditya Roy Kapoor, and Sonakshi Sinha. Directed by Abhishek Varman, Kalank is a period drama set in 1945 in the pre-independence British era. The trailer/teaser of the film has received a mixed response and it all boils down to the content now. 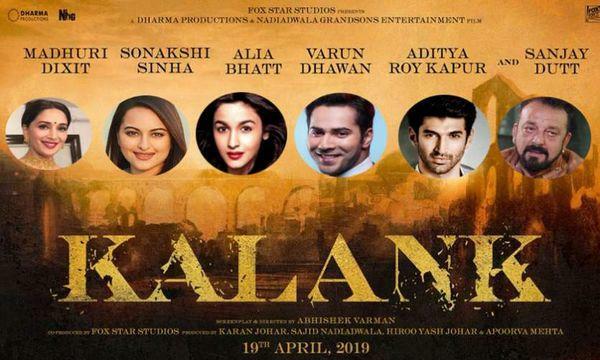 Note: Please bookmark this page as we will keep updating the latest updates and news on Kalank advance booking report.